When Acura first announced that it would be auctioning off NSX #001 for charity at the Barrett-Jackson Auction in Scottsdale, Arizona, we knew it would turn heads and raise bidding arms. But to cap off a record-shattering Friday at the world-renowned car collector’s auction with a massive $1.2 million-dollar final bid surpassed even our lofty expectations. 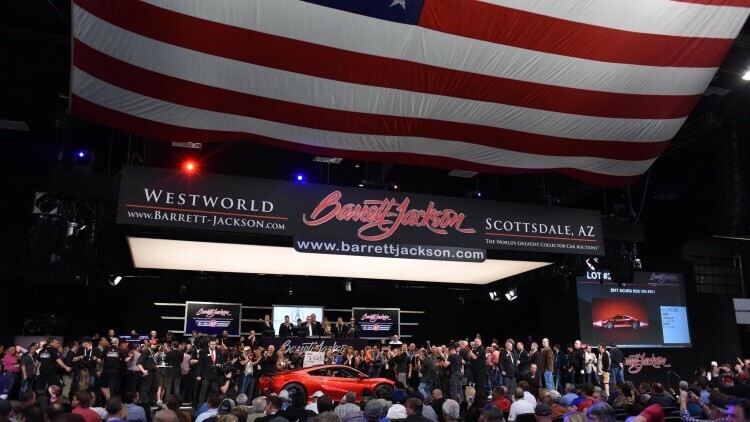 That $1.2 million final bid, which made the NSX the most expensive vehicle ever sold at Barrett-Jackson, will be donated to the Pediatric Brain Tumor Foundation and Camp Southern Ground. The winning bidder and proud owner of a piece of automotive history is none other than Rick Hendrick, owner of Hendrick Motorsports. The first NSX to roll into our showroom won’t have a VIN as low as Hendrick’s, but it will still be a very special moment and a very special vehicle. The NSX will arrive this spring, and we couldn’t be more excited. « See You at the Home Show!